This is possibly the most well known of all the tricks and effects invented by Patrick Page but one that many people do not even realise was invented by him. It has been copied by magicians and dealers all over the world. 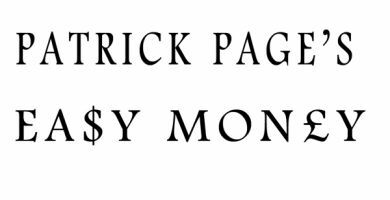 The copyright for the trick rests with Patrick Page Magic. This includes a DVD showing you how to perform the trick and the gimmick with fake money which you can use to create your own gimmick using real pound notes, euro notes, dollars or whatever currency you want to use. Dynamo recently appeared on tv with a variation (also invented by Patrick Page) of turning lottery tickets into money. This is possibly the most well known of all the tricks and effects invented by Patrick Page but one that many people do not even realise was invented by him. 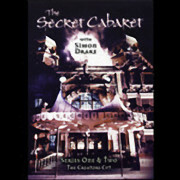 It has been copied by magicians and dealers all over the world. 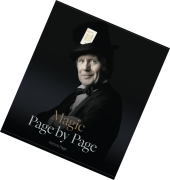 Patrick Page Magic is making available the original Patrick Page version of the trick with a free DVD of Patrick Page himself demonstrating how to perform the trick. He also tells you about how he came to invent the trick and how Fred Kaps came to know about it. Patrick Page’s Easy Money blank paper to bills trick from the inventor, Patrick Page. A sample gimmick is included, made from $20 stage bills. The price of the effect is £15 (approx US $20) and includes free postage and packing (shipping) worldwide. Please make payment using Paypal. This is one of the many tricks that are included in the Magic Page by Page Book and which we are now making available.